In 1996 the golf outing was held September 12 - 14 in Memphis Tennessee and fourteen golfers attended. 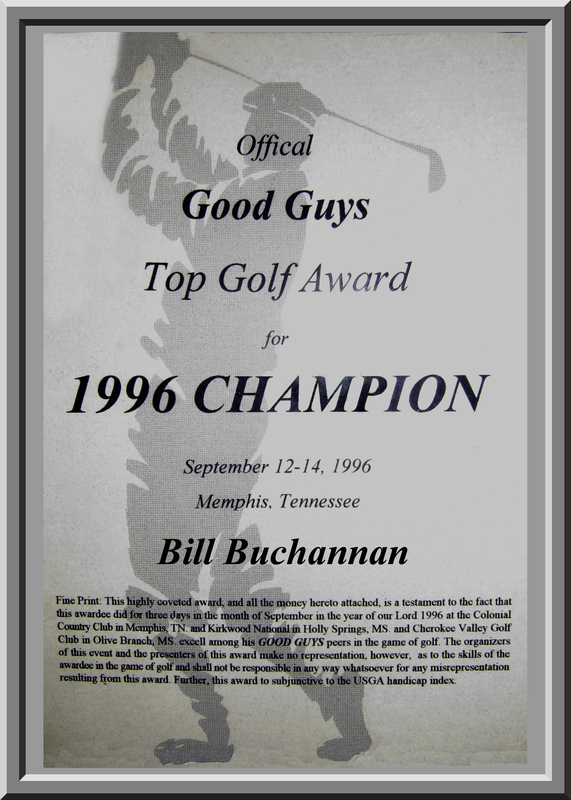 The award below went to Bill Buchanan. We need pictures from this year. If you have any, email feldhaus@comcast.net and we'll make arrangements to get them on this web page.